Heat oven to 350°F. 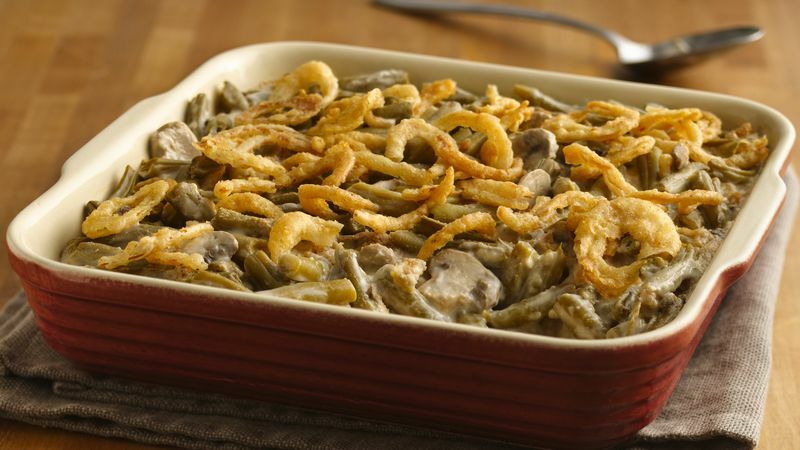 In ungreased 1 1/2-quart casserole, mix soup, soy sauce, pepper, bread crumbs, green beans and 2/3 cup of the onions. Bake about 30 minutes or until hot and bubbly. Stir; sprinkle with remaining onions. Bake about 10 minutes longer or until onions are golden brown. Use your favorite cut of green beans in this casserole. This casserole can be made ahead, covered and refrigerated until ready to bake. Don't forget to add a few extra minutes to the bake time since it will be cold when it goes in the oven.